The new Nobby Nic is designed for an array of conditions. 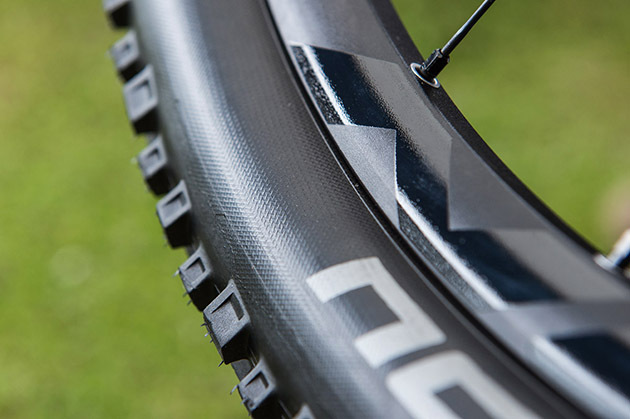 Touted as the go-to tire for an array of conditions, Schwalbe believes the Nobby Nic will find a place on the rims of cross-country and enduro riders alike. 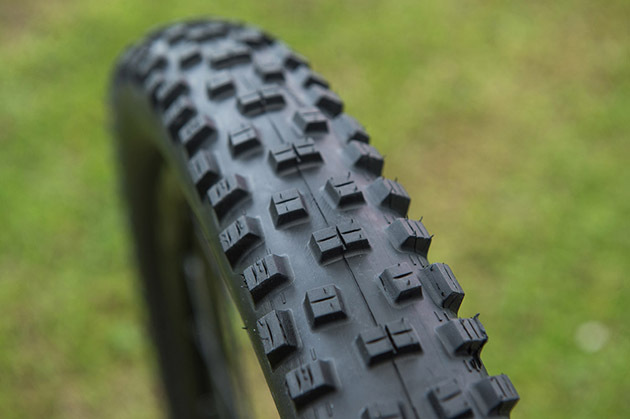 “It’s not the fastest cross-country tire, not the toughest enduro tire and also, not the most grippy mud tire, but if you are looking for a tire that works in every situation, a tire that is never the wrong one, when it doesn’t matter what the weather is like, and no matter what kind of terrain is awaiting you, there is no better choice than the new Nobby Nic,” said Markus Hachmeyer, chief research and development engineer for Schwalbe. The new Nobby Nic comes with Tubeless Easy, Schwalbe’s new tubeless design, and a new SnakeSkin sidewall. The SnakeSkin fabric improves the sidewall protection. The tread design has also been revised. Hachmeyer revisited every block on the tire: size, shape, surface and position. Schwalbe reports that every detail that has an influence on riding performance has been optimized: the outer blocks’ size has been increased, the spaces between the knobs have been engineered to shed mud more efficiently, v-grooves in the tread help with breaking and grip, and the center blocks have been arranged for improved traction, tracking and cornering. Schwalbe also says the new design keeps rolling speed high. Schwalbe revised every aspect of the tread. The tire will be sold as two lines: The Evolution and the Performance. The Evolution line comes in three-different models, the Tubeless Easy, the Double Defense and the LiteSkin in 26-, 27.5- and 29-inch sizes. The Performance line comes in one model in 26-, 27.5- and 29-inch sizes. Schwalbe says that the Nobby Nic will replace the Fat Albert tire. 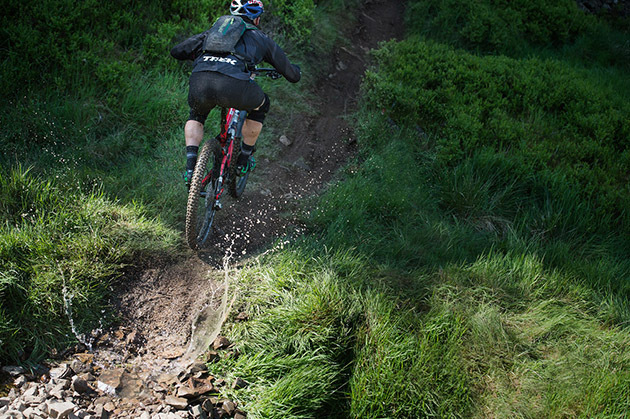 "I decided to try Nobby Nic on my rear wheel and straight away I felt the low rolling and great grip. The cornering was as predictable as the Hans Dampf that I ride most of the time on the rear, but braking and climbing traction was just insane. 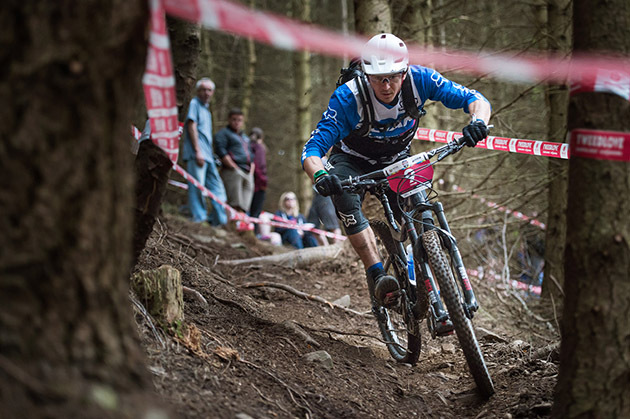 My tires gave me the speed and confidence that I needed to fight for the win (at the Enduro Wold Series in Scotland),” said Nico Lau, Cube Action Team. The Nobby Nic is said to shed mud like a beast. Delivery will start in the fall. Stay tuned for a trail review.